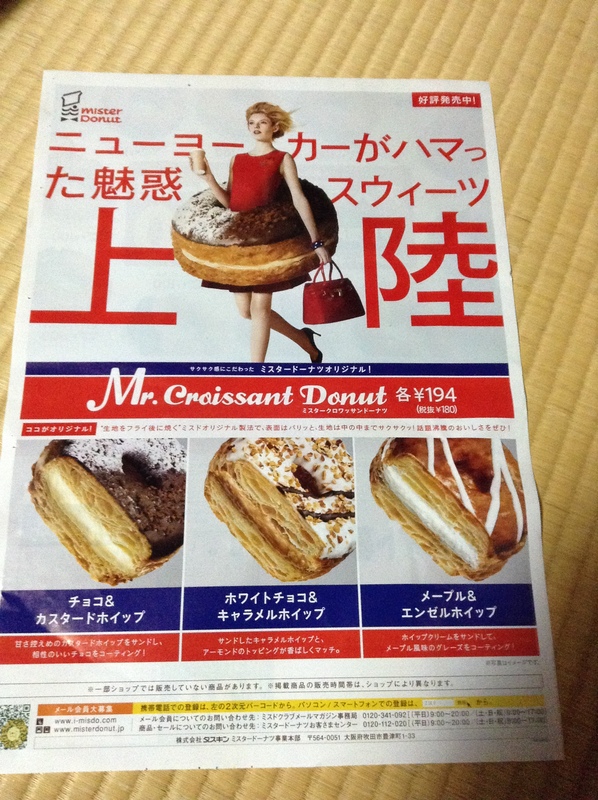 So Mr. Donut Japan has brought its version of the Cronut to Japan, the Mr. Croissant Donut. It’s not as good as the cinnamon-dusted New York Rings at the Roastery in Omotesando, but a huge improvement over the version made by Banderole. 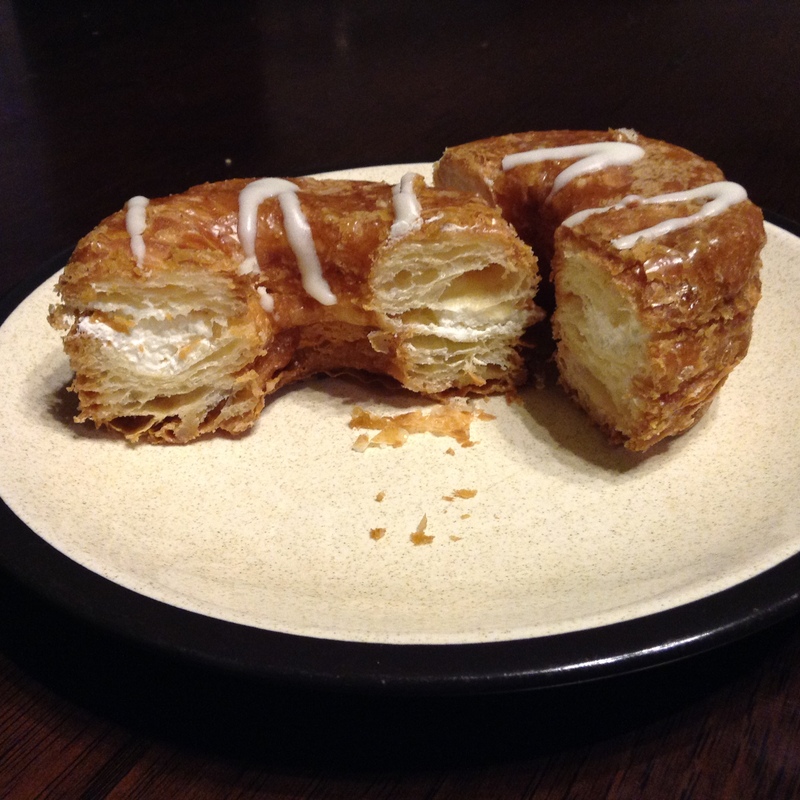 It is crispy and flakey and the whipped cream was pretty skimpy. It is definitely not worth standing in a long queue for hours for. Japanese consumers love trying new food products, so it was no surprise that the two people in front of me both were buying the Mr. Croissant Donut. On my way out of the shopping mall I saw three other customers holding the specially designed bag for the Mr. Croissant Donut. I won’t be going back for a second. If you like croissants and sweets, then make a beeline to the Croissant Taiyaki shop.